Boer, Buono, A. Rakhman and A. Turyanti. 2009. Historical and Future Change of Indonesian Climate. in MoE. 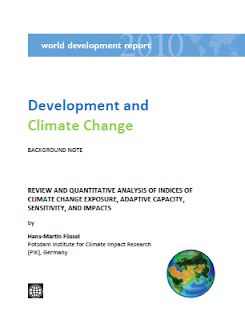 Technical Report on Vulnerability and Adaptation Assessment to Climate Change for Indonesia - Second National Communication. Jakarta: Ministry of Environment and United Nation Development Program. Indonesia. 2009. Overview of the Indonesia's Medium Term Development Plan 2004 - 2009. KLH, Indonesia. 2010. "Mid-Term National Environmental Plan 2010-4 (NARASI).". ------. 2009. Summary for Policy Makers: Indonesia Second National Communication Under the United Nation Framework Convention on Climate Change (UNFCCC).